Piracy, like nostalgia, was no longer what it used to be â€“ until, Weekend Wide Game proved otherwise! â€˜Scoutwreckedâ€™ â€“ Weekend Wide Gameâ€™s 4th South event saw SC&T Rovers create a scenario where Davy Jones, the Dread Pirate Yoda, and Skull Island turn Potato Point National Park into the pirate-infested Port Royal. The High Seas beckoned to those able to earn the rank of Captain, whilst Press Gangs roamed the docks, ready to shanghai those unable to make the grade. 110 Scouts in 22 Patrols competed in the event, braving reports of particularly foul weather â€“ reports which (thankfully) turned out to be unfounded. Strong representations from Leaders and Venturers ensured the game was once again well attended. This event saw a number of new stratagems employed by the WWG organisers to make life interesting for theirÂ victimsÂ participants. Scout â€œlivesâ€ were measured in mL of RUM (Really Unpleasant Mixture) that was collected by the Venturer Press Gangs and used to locate clues in their own treasure hunt. Combat between Patrols was ONLY allowed within bases, where Patrols could wager RUM or other items in duels, competitions, and tests of strength and cunning. One of the favourite activities seems to have been the â€œpoison glassâ€ challenge, where one glass contained Coca-Cola, whilst the other contained Chinotto. This challenge made for some very interesting results! The game included a High Seas zone, where Patrols could use Ships and engage in battles with Davey Jones, Soldiers, and each other. Ships passing too close to Skull Island were subject to a barrage from the bottle bazookas used to defend the base. Patrols could hunt down treasure, earn the rank of Captain, recruit other Patrols to form a Crew of their own, and even spend the night â€œmaroonedâ€ on a platform to prove their worth. 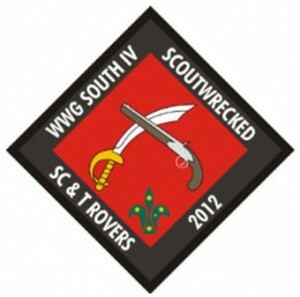 The SC&T Rovers would once again like to extend a heartfelt â€œthanksâ€ to all the Venturers and Rovers who attended the weekend.